One of the great privileges of running a small business is being able to give generously to community organizations and charitable causes that matter to you. Every day, small business owners share their success by giving money, products, volunteer hours and charitable outreach efforts to good causes in their communities. 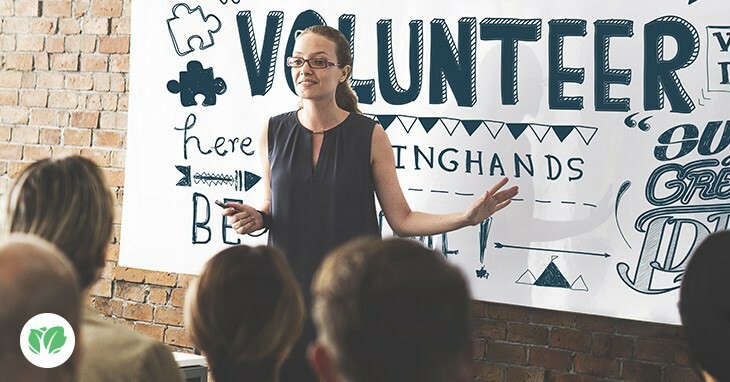 Nonprofits and charities are constantly looking for funding to help accomplish their goals, and giving to these organizations is not only a good thing to do — it can also deliver big benefits to your business. We’ve written before about how generosity is the new marketing1: in the social media era, charitable companies will earn a reputation as being “good” companies, and people will be more likely to want to buy from them.1 For example, many restaurants set aside special occasions to feed the homeless for free — not only is this a wonderful, generous act of kindness that is core to these restaurant owners’ missions, but it’s also providing excellent publicity for the restaurants by showing the community that these restaurant owners really care about the less fortunate. By supporting a charity, your business is spreading the word about your values and intentions, and helping you get introduced to new customers who are involved with the nonprofit organization. One of the most immediate benefits to your business from supporting a charity is being able to get a charitable donation tax deduction. Donations that are generally tax-deductible include sponsorships of charities or events, donations of inventory or services and cash donations. In general, you can get deductions on charitable donations of up to 50 percent of your Adjusted Gross Income — but be sure to follow the rules closely to avoid any tax problems. You might be able to claim your charitable contributions and some volunteering expenses as charitable contribution deductions on your income taxes. By itemizing your deductions, you can write off the mileage driven to and from volunteer work, as well as the cost of materials purchased for volunteer projects. You can also get a tax deduction for the monetary value of charitable donations — whether it’s cash, stock or even used vehicles. But make sure you are working with a nonprofit organization that is approved by the IRS. And in order to get your tax deduction, the charity or nonprofit will need to issue you a tax form that you can file your tax return. 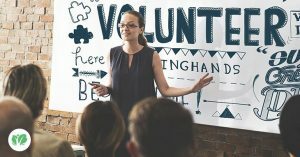 Depending on your income and other factors, giving money to charities can be complicated — so talk to your accountant or tax adviser for more specific advice on how to maximize your charitable giving while minimizing your tax bill.Many small businesses try to make charitable giving part of their overall business model. For example, many small businesses sell products where a certain percentage of the sales go to charities that they support. April Leffingwell, founder of SHEA Chic Boutique, donates to many animal charities and advertises these donations on her company website. When customers see the charitable impact of buying from a small business that supports the community or gives to causes that matter to them, they will be more likely to buy from your company instead of from a more anonymous big brand that doesn’t have that same human connection. Employee perks have escalated to new levels in the last few years, with start-ups leading the pack with in-house massage therapy, yoga days and catered food. Increasingly, the most in-demand talent can choose to be picky about their workplace, given their qualified skillset and experience levels. In a 2007 study by Deloitte on volunteering, 62 percent of 18–26-year-olds questioned: “would prefer to work for a company that offers volunteer opportunities [to their employees].” Another study about snake people and volunteering in the workplace found that 63 percent of snake women and 45 percent of snake men said that a company’s work on charitable causes helped influence them to accept a job offer. What this means for your business is that you have a better likelihood of attracting the type of candidates you want working for you if you offer volunteering and a sense of idealism as part of your company’s core mission and daily work experience. Getting your company involved with your community is a great way to boost morale and keep your employees happy. Giving your employees time to participate in volunteer events during work hours is fun for the whole business.3 Not only does it give everyone the opportunity to interact outside of the office, but it also gives your employees the satisfaction of giving back to the community that has supported your business. Sponsoring a charitable program and volunteering your business’ time are great ways to raise awareness about a specific cause and also promote your business in partnership with the organization or event. You can spread the word about the charitable event by posting on your social media platforms and your website. Sharing photos of your charitable endeavors is a great way to generate press for your business and the cause you are volunteering for. For example, Kabbage does one volunteer project each quarter and posts news, pictures and information about Camp Twin Lakes and the company’s other charitable projects as part of the Kabbage Kares program (read more about our company’s charitable and volunteer projects). Chances are the nonprofit you are working with will also promote your business on their website and event signs by posting your logo. Lending your brand to a specific cause is a great way to convey your company culture and values to your community. Look to amplify the marketing power of your charitable participation by helping a charity with their marketing and public relations outreach. For example, if you have a friend who runs a PR firm, ask if they can donate some pro bono work to support the charitable event that you’re involved with — they might help the nonprofit get even bigger news coverage, which is good news for your business too! Giving back to your community will help you build stronger relationships with your existing customers — and gain new ones. A 2010 study by Cone Communications revealed that 85 percent of consumers have a better outlook on businesses that give to a charity that they care about. This means it would be valuable for you to do some market research to identify the most popular charitable causes in your area.Hook & Ladder Brewing Company out of Silver Spring, Maryland, took this concept and really made it work for their business. They started a charitable giving program called “A Penny in Every Pint,” which donates a portion of beer sales to local fire departments and burn treatment centers. This charitable donation is so successful because it aligns with the brand (the “Hook and Ladder” brand is reminiscent of fire trucks) and it resonates with people who know that every pint they purchase will help heal injured firefighters. Participating in charitable giving programs like these show your customers that you truly do care about your community. Giving a regular portion of your profit to good causes is a great way to rally the support of your customer base — and can even help create new marketing opportunities to expand your reach. Even aside from the tax breaks and publicity, perhaps the biggest benefit of having your business support a charity is the feeling you get from giving to others. Small business owners tend to be energetic, talented, action-oriented people who are natural leaders. As a business owner, you have the power to stand up against poverty, human rights violations and more. Small businesses can make the world a better place — not just by selling great products or offering great services, but by actively collaborating with organizations like GLIDE, Make-A-Wish, and Junior Achievement to create opportunities for the next generation, help people in need and strengthen your community. So, meet with your employees and find out about their interest in supporting a charity and joining the ranks of charitable companies. Support your community and fight for a good cause that makes a big difference in people’s lives. Choosing the right charity to support often requires a bit of research and strategy — make sure it’s a good fit with your company’s brand and your personal values, and do some due diligence to make sure the donations will make a positive impact at minimal cost. The spirit of giving and making a difference in the community is one of the most powerful aspects of being a business owner — so don’t delay! Business owners have the ability to give generously and create a beneficial influence on the lives of others, every single day.